ARLINGTON, VA; October 2, 2012 – PBS and Capital Concerts announced today the broadcast of the NATIONAL SALUTE TO VETERANS, airing on PBS Sunday, November 11, 2012, at 8:00 p.m. ET, in honor of the service and sacrifice of our 22 million American veterans. Hosted by acclaimed actors Joe Mantegna (“Criminal Minds”) and Gary Sinise (“CSI: New York”), the national television event celebrates the American heroes who have served throughout our country’s history. The program will also be broadcast to our troops serving around the world on the American Forces Network. The one-hour program is produced by Capital Concerts, the nation’s leading producer of live holiday specials and the production force behind A CAPITOL FOURTH and the NATIONAL MEMORIAL DAY CONCERT. These two celebrations of America’s most important holidays have become annual traditions, and are consistently among the top ten rated shows on PBS from year-to-year. • The touching story of the healing friendship between a young woman and a Vietnam veteran who served with her father. The broadcast will be supported by a powerful social media component and resource-rich website designed to support veterans of all ages and their families. Highlights will include a “Wall of Honor,” where personal tributes to a loved one can be posted, as well as an online forum for veterans to share their stories. The program is a co-production of Jerry Colbert of Capital Concerts and WETA, Washington, D.C. For the National Salute to Veterans, executive producers Jerry Colbert and Michael Colbert have assembled an award-winning production team that features the top Hollywood talent behind some of television’s most prestigious entertainment awards shows. The team includes: Emmy award-winning producer Walter C. Miller, whose credits include the GRAMMY AWARDS and COUNTRY MUSIC AWARDS; award-winning director Paul Miller whose credits include THE COUNTRY MUSIC AWARDS and SATURDAY NIGHT LIVE; and veteran television writer Joan Meyerson. Funding is provided by the Lockheed Martin Corporation, the National Park Service, the Department of the Army, PBS and public television stations nationwide. About PBS PBS, with its nearly 360 member stations, offers all Americans the opportunity to explore new ideas and new worlds through television and online content. Each month, PBS reaches nearly 123 million people through television and more than 21 million people online, inviting them to experience the worlds of science, history, nature and public affairs; to hear diverse viewpoints; and to take front row seats to world-class drama and performances. PBS’ broad array of programs has been consistently honored by the industry’s most coveted award competitions. Teachers of children from pre-K through 12th grade turn to PBS for digital content and services that help bring classroom lessons to life. PBS’ premier children’s TV programming and its website, pbskids.org, are parents’ and teachers’ most trusted partners in inspiring and nurturing curiosity and love of learning in children. More information about PBS is available at www.pbs.org, one of the leading dot-org websites on the Internet, or by following PBS on Twitter, Facebook or through our apps for mobile devices. Specific program information and updates for press are available at pbs.org/pressroom or by following PBS Pressroom on Twitter. About Capital Concerts Capital Concerts is the production force behind two of television’s longest-running and highest-rated live programs commemorating America’s most important holidays. 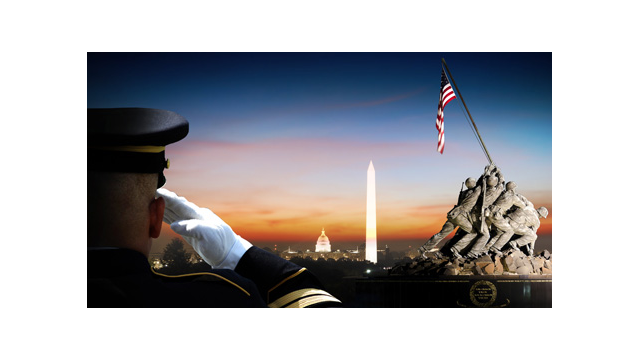 The NATIONAL MEMORIAL DAY CONCERT, the nation’s tribute to our men and women in uniform, and A CAPITOL FOURTH, our country’s biggest birthday party, have become American traditions that have consistently ranked among the highest-rated programs on PBS over the past decade. Both holiday specials have been honored with over 70 awards, including the New York Film Festival Award, the Telly Award, the Golden Cine Award, the Videographer Award, the National Education Association Award, the Aurora Award, the Christopher Award, the Communicator’s Award, the AXIEM Award, the Omni Award and the Writers Guild of America Award. Kristina Hallman, Capital Concerts, 202-537-5199, khallman@starpower.net Carrie Johnson, PBS Communications, 703-739-5129, cjohnson@pbs.org For images and additional up-to-date information on this and other PBS programs, visit PBS PressRoom at pbs.org/pressroom.